This week Adam, Emma, Paul & Colin from Trek News & Views and the Deck 8 podcast look at one of the worse rated episodes ‘A night in Sickbay’. However we find that this episode is maybe not as bad as its made out to be. 1. What colour was the fluid that spilt out of the can onto Phlox? 2. 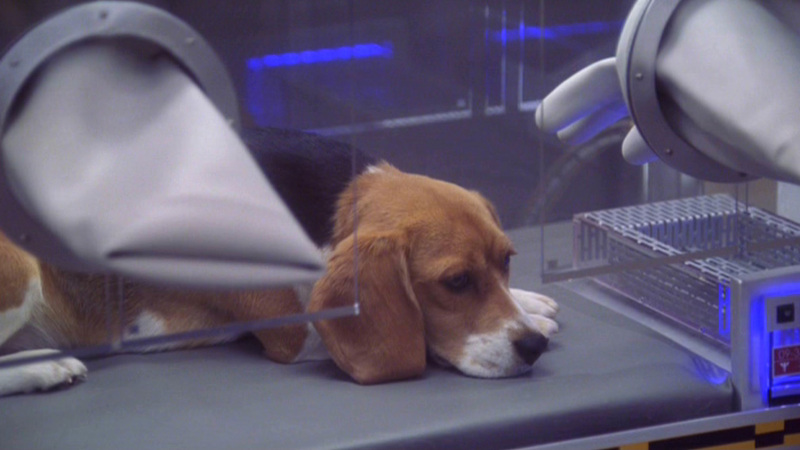 What animal does Phlox sacrifice to save the dog? 3. How many wives does Phlox say he has? 4. What time in the morning does Archer eventually admit to phlox he has feelings for T’pol? The worst episode of Star Trek that I can remember. This is the only episode, including “Move Along Home”, that is next to unwatchable. It’s embarrassing how poor the acting is, and the story seems ridiculous. This person who is supposed to be so qualified and superior to all other candidates for the position of captain of Earth’s flag ship, first warp 5 ship, etc, is so petty as to throw the safety of his crew, the success of his mission, and the reputation of Earth out the airlock over his beagle. The first time I saw this episode I remember picking up the remote to stop it several times, but forced myself to keep watching just to get through it. As for the aliens being unreasonable or immovable in their beliefs, we have to remember the old “When in Rome.”. They’re at their home with a group of aliens asking for their help, and probably feel the Enterprise crew are obliged to conform, not the other way around. Just my 2 cents. Thanks.